For refrigeration, she has a cooler that sits below the floor so that it touches the ground and stays cool. Her toilet is a hole in the ground outside with a pallet over top of it. She showers at yoga studios in the winter, and she swims in the spring / summer / fall. 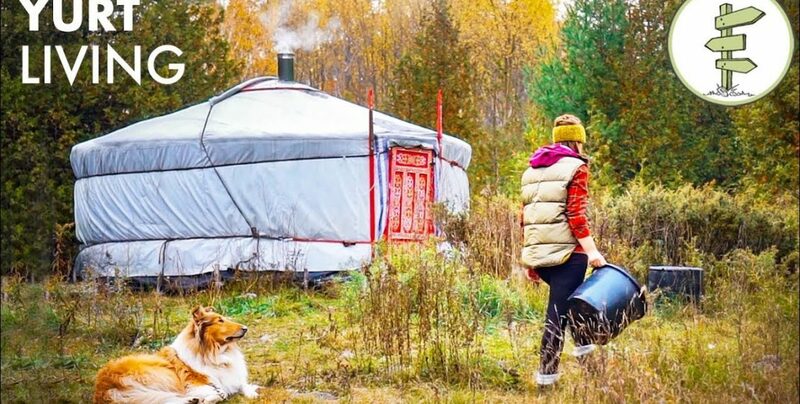 She has her yurt set up on a friend’s farm, tucked away in a wooded area that gives her privacy, although a neighbor has complained so she is in the process of deciding if she will get a permit or move the yurt elsewhere. You moving next door with your yurt? Of course. Yurt life forever!! !